Welcome to our Realm Royale Best Class Ability List for Nintendo Switch and PC. You can view the Best Classes in Realm Royale and details about how their abilities work. 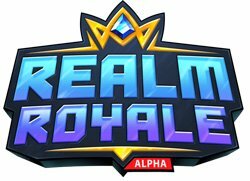 The Realm Royale Best Class Tier List is based on the Legendary weapon stats and Ability List. This Class tier list will apply across all platforms this game is available on PC and Nintendo Switch. 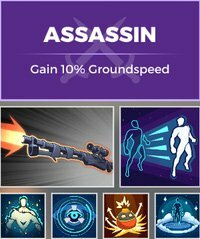 The Assassin Abilities are geared more towards players who like to sneak around and pick off their targets from a distance. Players who have played Widowmaker or Sniper Loudouts will find this class familiar. Blink Teleport forward a short distance. Concussion Bomb A bomb that knocks back enemies and yourself for mobility. Smoke Screen Throw a smoke screen that blocks enemy vision. Gain stealth. 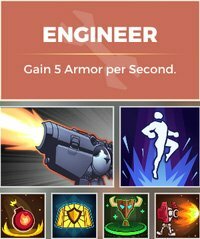 The Assassin Engineer are geared controlling location with their Turrets and Shields, they also have a jump ability which grants them amazing mobility in a fight. Thrust Jet upwards into the air. Barricade Deploy a shield that blocks enemy shots up to 5000 Damage and last 4 Seconds. Deploy Turret Deploy up to 2 turrets that shoot enemies. Fire Bomb Throw a bomb that leaves a pool of fire damaging enemies for their maximum HP and reducing healing. Healing Totem Deploy a totem that heals allies. 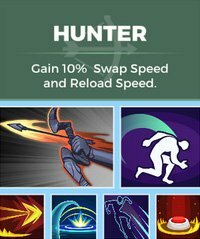 The Hunter Abilities are geared more towards players who have a high skill cap, using a dodge roll mechanic combined with a leap/stealth. Dodge Roll Quickly roll in the direction you are moving. Blast Shot An explosive projectile that damages the enemy. Flare Fire a flare that reveals enemies in a large area. Proximity Mine A mine that explodes when enemies are near. Withdraw Leap backwards and enter stealth. 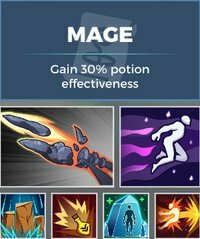 The Mage Abilities are geared more towards controlling a fight with Walls and an ability that will make you immune to damage temporarily. Soar Fly through the air. Explosive Flask Throw an explosive flask dealing damage and slowing enemies. Fireball A ball of fire that passes through enemies. Ice Block Become immune to all damage for 3s. 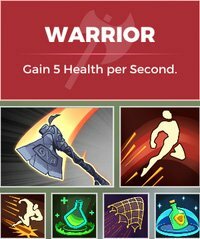 The Warrior Abilities are geared more towards players who prefer Tanks or Support Classes. This is mainly due to the warrior ability to Shield and Heal Allies. Heroic Leap Leap an incredible height and distance. Charge Dash forward dealing damage to enemies hit. Flask of Healing Throw a flask that heals allies. Net Shot Throw a net reducing dealing damage and reducing a single target’s speed. Shielding Potion Throw a potion that shields allies.